This week the nation was consumed by the insane idea of slicing bagels like bread and calling it a “St. Louis secret.” It’s not. Believe me. But here at ScoutComms World Headquarters more cool things are happening with the addition of talented and experienced PR pro Caitlin Manaois to our team. Check out her fascinating career in the announcement below. We look at how Post-9/11 vets are filing for their disability claims like none before them and the next war memorial on the National Mall isn’t any you had heard about. There are lots of changes and moves in the media too, as Howard Altman from Tampa comes to D.C. to join Military Times and long-time military beat reporter Tom Philpott retires his Military Update column after 25 years. Check it out. Share with your friends. Get them to subscribe…we love positive reinforcement! The state of Michigan ensures veterans in prison get access to the information and benefits they need through the Incarcerated Veterans Program that was launched in 2014. The program offers many features, including connecting incarcerated veterans with local VA centers to access medical records and VA medical professionals, as well as helping them apply for disability benefits. On Tuesday, Secretary Robert Wilkie advised the DOJ to not dispute a federal court ruling that would extend benefits to “blue water” Navy veterans who were exposed to Agent Orange during the Vietnam War—leading to respiratory cancers, Parkinson’s disease and heart conditions. If the court case goes unopposed, it’s estimated that 50,000-70,000 veterans could potentially become eligible for benefits. 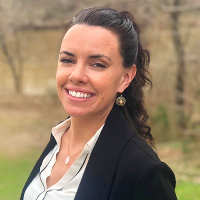 Caitlin Manaois, an experienced public relations professional, has joined ScoutComms, the nation’s leading communications, marketing and research firm focused on veterans and military families, as account director. She will lead client accounts and serve as senior media relations advisor. Read the full press release here. Howard Altman, a long-time presence covering the military in Tampa, is making the leap to DC, where he will be a managing editor at Military Times.